Gerardo Gomez Galvis, associate in Morrison & Foerster’s Securities Litigation, Enforcement and White-Collar Criminal Defense Group, has extensive experience in securities litigation, with a focus on white collar criminal defence, SEC and regulatory enforcement, and corporate internal investigations. 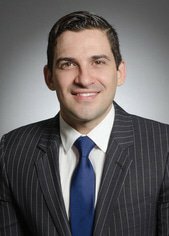 Prior to joining Morrison & Foerster, Gerardo was an associate at a large international law firm in New York, where he represented financial institutions and other clients in complex commercial litigation, internal investigations and regulatory proceedings, including actions based on alleged manipulation of LIBOR rates, deficient anti-money laundering controls, marketplace lending regulation, and federal securities law class actions and proceedings. Prior to this, Gerardo served as a judicial intern to the Honorable Denny Chin of the US Court of Appeals for the Second Circuit in New York. Gerardo was born and raised in Colombia and is fluent in Spanish. He has conducted investigations in Spanish throughout Central and South America.